Marrying the autumn flavor of fresh apples with the warm, inviting scent of cinnamon, this Muffin Town Snack N' Loaves 2 oz. apple cinnamon loaf is a flavor-packed addition to any snack stand! Sell it at your convenience store or supermarket, quaint coffee shop, or corner cafe. It's a quick and easy, "on the go" option for busy patrons in need of a filling, yet satisfying snack. This loaf features a rich, moist, dense, fresh-baked body. It's the ideal snacking option in an individual serving! 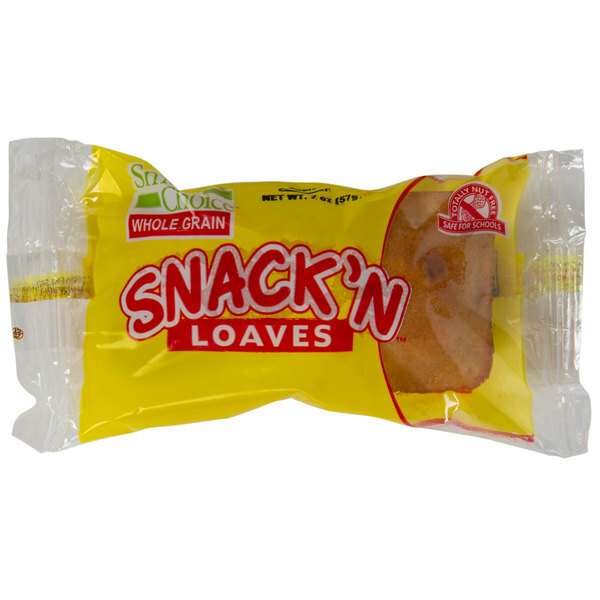 Each loaf is perfect for breakfast or for a snack, individually wrapped for safe, sanitary service and optimum freshness. Plus, they're prepared in a peanut and nut free establishment. The loaves are pre-baked and frozen, so all you need to do is thaw and serve! 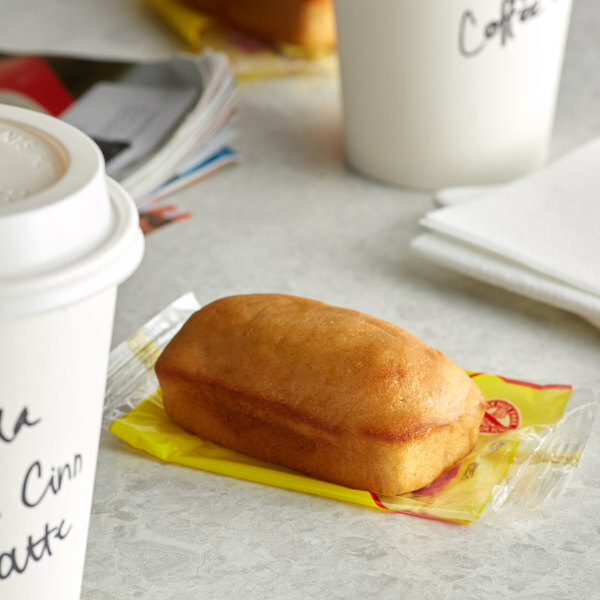 America's premium value bakery, Muffin Town has been providing consistent, quality baked products since 1978. 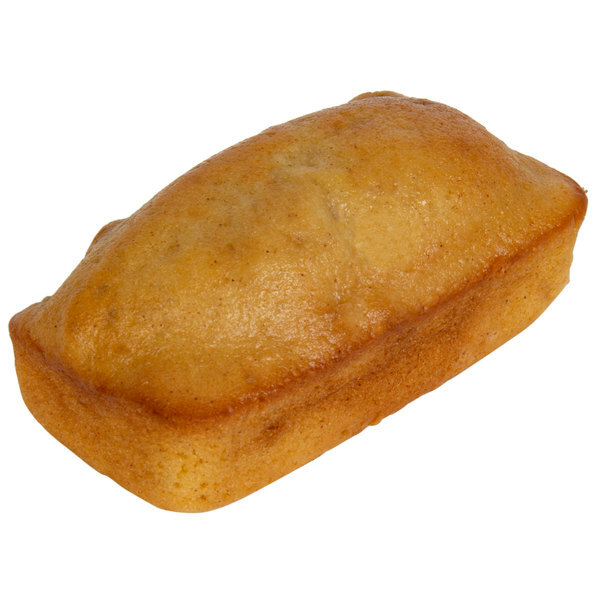 By selling premium, frozen baked goods, Muffin Town has been able to provide products that maintain freshness longer than the competition. Each product is packaged at the peak of freshness to satisfy every customer. From muffins to bagels, loaves to ready-to-bake cookies, Muffin Town is sure to provide the products your customers want at a price they can afford. These are the perfect snacks to buy for when you don’t have time to make yourself breakfast and you need to grab and go. They taste great!